The last time a major league baseball player hit .400 was in 1941. When that record season ended in October, exhaust-belching Nazi tanks and airplanes had blitzed Poland, the Netherlands, Belgium, and France. Japan had yet to invade Pearl Harbor, but was in firm control of Southeast Asia in its bid to secure the oil fields of Indonesia for its resource-hungry industries. No one was measuring atmospheric carbon dioxide level then, but it was certainly less than 315 ppm, the level first recorded by Charles David Keeling at the Mauna Loa observatory in Hawaii in 1958. Air bubbles entrained in ice core samples show that in the centuries before 1775, when James Watt built the first practical steam engine, the level was about 280 ppm. 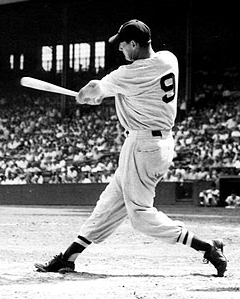 The man who owned the 1941 batting title was Ted Williams of the Boston Red Sox. Most baseball fans doubt that magic threshold will ever be broached again. 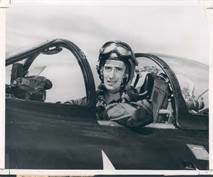 In 1943, Williams set aside his personal ambitions for the war effort as almost all Americans did and became a fighter pilot instructor. Of course, the news this weekend was that the atmosphere crossed the 400 ppm threshold for carbon dioxide content for the first time since the Pliocene Age ended 2.5 million years ago, when Homo sapiens had yet to exist, sea levels were perhaps 80 feet above where they are today, and global temperatures averaged 3 degrees C higher. It was just for an hour, but the annual average isn’t more than a year or two behind if we carry on business as usual. Once we’re over that annual average of 400, we may never see it again, either. It took 150 years for humans to nudge CO2 levels up by 25 ppm, but only 60 years to jack it another 85 ppm. WW2 was the pivot. The Allied victory put us on top of the world. Our access to plentiful oil, and Germany’s and Japan’s lack of it, was key. WW2 proved the power of cheap energy, industry, technology, and most of all, capitalism. It gave us rockets, nuclear power, computers, and hugely scaled mass production. Our might was proved right, and we fell in love with our ability to transform and transcend nature. That optimism gave us the Baby Boom, suburbs, mass electrification, superhighways, and the car culture, and linked human progress to open-ended economic growth. The irony is that we need another WW2-style effort to stop the accelerating advance of CO2 that WW2 brought about. Unwinding the war’s aftermath will require a massive redirection of resources and effort, and personal sacrifice from everyone, just as the war itself did. But that effort won’t be over in three or four years. It’ll take a change in our outlook on life even more profound than the one the war induced, one less triumphalist, less hubristic, more sober, more mature, more thoughtful, and more determined. Here’s one place to start: 350.org. well said! and true – LOVELLOCk also says this re ”The irony is that we need another WW2-style effort to stop the accelerating advance of CO2 that WW2 brought about. Unwinding the war’s aftermath will require a massive redirection of resources and effort, and personal sacrifice from everyone, just as the war itself did. But that effort won’t be over in three or four years. It’ll take a change in our outlook on life even more profound than the one the war induced, one less triumphalist, less hubristic, more sober, more mature, more thoughtful, and more determined.